Fox's Rake (1.3) needed a week two miracle, and it didn't happen; in fact, the show was down nearly a quarter from last week's already terrible debut and now well below half of its lead-in from an also-sagging American Idol (3.2). It may get to burn off a few more episodes against the three Olympics Thursdays upcoming, but Fox should find something better starting the week after. Meanwhile, CBS was back to originals for the first time since Idol's arrival, and all the comedies - The Big Bang Theory (5.2), The Millers (2.6), The Crazy Ones (1.9) and Two and a Half Men (2.0) - dropped by roughly a half point from the "beauty contest" numbers against no competition three weeks ago. Elementary (1.9), though, looked quite good with both of the usual 10/9c dramas sitting out. NBC did much better than usual from 9-11 with a Saturday Night Live special (1.8), while Community (1.1) and Parks and Recreation (1.3) were even to barely up in their first airings against both Idol and TBBT. With the strongest shows on ABC and CBS going into repeats, NBC had another strong crime drama night with Law and Order: SVU (2.0) and week four of Chicago PD (1.7), each up again. But Revolution (1.3) gave back last week's increase in the 8/7c hour. The finals were kind to the CW. Both shows adjusted up, giving The Tomorrow People its first 0.7 since week three and Arrow (1.1) its first 1.0+ in the new year. And CBS' annual Super Bowl's Greatest Commercials special (1.9) went a tenth behind last year's rating. On another big Friday for broadcast, Shark Tank and 20/20 were back on the list (and well within the raw numbers list as well); and this time, they had company in the biggest Friday episode of Bones yet. And Grimm was only about a hundredth away from making it four Friday representatives. The State of the Union Address pre-empted the big four broadcasters from 9-11pm. These numbers won't count in finals, but there was surprising parity among the big four preliminaries: NBC (1.4), CBS (1.3), ABC (1.1) and Fox (1.0). The total State of the Union audience across broadcast and cable was 33.3 million, barely down from last year's 33.5 million. As usual, the CW was able to benefit in the 9/8c hour opposite four networks simulcasting one event; Supernatural (1.2) tied the season high set on premiere night. The Grammy Awards (9.9) aired two weeks earlier than usual (presumably to avoid the Winter Olympics) and were just a bit below last year's 10.1. The earlier date meant the awards went head-to-head with another annual Sunday event, the NFL's all-star game The Pro Bowl. It was also a little down from last year despite some major format tweaking. The only regular lineup to battle these events was Fox's animation, and The Simpsons (1.7), Bob's Burgers (1.5), Family Guy (2.0) and American Dad! (1.5) were all down at least a half point from their last episodes, and all either at or tied for season lows. ABC did surprisingly decent work with a The Bachelor wedding special (1.5), significantly ahead of the last one of these back in December 2012 (1.0). UFC (1.5) was the only show to break a 1.0 on Saturday, but it was down 29% from the telecast at this time last year (2.1). Fox's flip of Raising Hope and Enlisted appears to have paid off. Enlisted (1.0) surged to well above its first two results (and anything Raising Hope has done all season) with a major assist from the biggest-yet Friday episode of Bones (1.8). Amid the Enlisted rejoicing, keep in mind this situation was tailor-made to create the appearance of momentum, and a 1.0 out of a 1.8 still isn't that much of a performance on its own. It looks a whole lot better because of how hard the show was sabotaged in its opening weeks. It will need to, at bare minimum, keep this up going forward. But it's definitely a start. With CBS in repeats, there was good news all around. ABC had new season highs for the second time in three weeks with Shark Tank (2.2) and 20/20 (1.9). NBC saw a steady Grimm (1.5), noteworthy as a piece of trivia simply because the show has changed week-to-week by at least 0.2 for every single airing this season. And they had a one-tenth uptick for the finale of Dracula (1.0), which likely shouldn't be counted out until we see how Hannibal does here after the Olympics. Eight days after its NFC Championship preview, over half of the audience forgot about The Following. It hit a disastrous 2.0 rating and barely cracked six million viewers in its Monday premiere, already at series low levels against what should've been fairly favorable competition. It will get a better lead-in than a premiere encore (1.1) going forward, but if it can't at least hold this as the competition gets stiffer, it's now not that hard to see two seasons and out for the top new show of the 2012-13 regular season. But other than that result, it was a pretty positive day for broadcast, with the star being CBS' triumphant 200th episode of How I Met Your Mother (3.8). That's a season high for that show, and it boosted the rest of the lineup to season highs or very close: 2 Broke Girls (3.0), Mike and Molly (2.6), Mom (2.4), and even Intelligence (1.5), which also probably benefited somewhat from Castle being in repeats. ABC and NBC shared in the good news as The Bachelor (2.5) and the last Voice-less episode of The Blacklist (2.5) each swung back up by a couple ticks. The Question, Monday 1/27/14: Will The Following's Premiere Audience Follow It to Monday? Two Sundays ago, The Following came back after the NFC Championship game at a series high 4.4 rating. Was that a positive sign for the rest of season two? It's hard to say, as the lead-in game (19.0) and post-game show (11.3) each did at least 10% better than I was expecting. The show probably didn't find a ton of new audience that night, and the eight-day wait for the next episode doesn't help. But it should at least get tonight's episode to about the level the premiere would've achieved if aired on a normal Monday. Let's take a look at the fall 2013 season (the twentieth overall) of America's Next Top Model on the CW. Among the low-rated original fare elsewhere, ABC's The Taste (1.1) bounced back somewhat against a weaker (and one-hour) Idol, but NBC's Community (1.1) and Parks and Recreation (1.2) saw no such rally. And the finals changed the picture for the CW, which was up a tick for the 100th The Vampire Diaries (1.2) and even with the return of Reign (0.6). Scheduling history: After three full seasons in the Tuesday 10/9c slot (often paired with White Collar at 9/8c), Covert Affairs went to the 9:00 hour in summer 2013 to lead into Suits, then to Thursday for the fall. The Question, Thursday 1/23/14: Will Fox's New Legal Drama Rake In the Viewers? Fox's Greg Kinnear legal show Rake premieres tonight after American Idol (3.8 last Thursday, preliminary 4.0 this Wednesday). As with Chicago PD's premiere, the competition makes this feel like a spot where the show needs to overachieve to have much of a chance. ABC is in filler mode, NBC is in disaster mode and CBS is in repeat mode (though CBS' The Big Bang Theory repeat at 9/8c means they won't be far off of their usual original average). Later in the season, Grey's Anatomy and the Olympics are coming, and the Idol lead-in is dropping, so starting respectably is critical. Some rally on the other networks might have been predictable with Idol coming back a bit, but overall there were some big swings in both directions. ABC was up across the board, most notably with The Middle (2.3), the second week of Suburgatory (1.8), and Modern Family (3.4), as was NBC with Revolution (1.5), a spiking Law and Order: SVU (1.8) and a slightly up week three of Chicago PD (1.6). CBS hit series lows with Criminal Minds (2.2) and CSI (1.6), and while the CW is still having a somewhat soft start to the new year with Arrow, it did adjust up to 0.9 in finals. With the regular 2.0+ draws on CBS and ABC all taking the week off, pretty much everything was able to benefit or at least stay steady. The only truly striking growth came from Fox's comedy lineup, especially newbie Brooklyn Nine-Nine (1.9). Though it faced repeats from both its major competitors, it was still the show's best rating since the pilot (and it hasn't even done better than 1.6 since week two). Dads (1.5), New Girl (1.9) and the last pre-hiatus episode of The Mindy Project (1.5) also grew by double digits. The only shows on the week-to-week downside were ABC's comedies The Goldbergs (1.5) and Trophy Wife (0.9), largely because of the Agents of SHIELD repeat (0.9) at 8/7c. Goldbergs still did a tenth better than its last episode after repeat SHIELD (1.4 on 12/3/13), but Trophy Wife's 0.9 was a new series low that got even uglier after finals. The penultimate game of the NFL season topped this week's True Top 25, while premiere week of American Idol topped the entertainment realm with The Big Bang Theory in repeats. Five new shows made the cut this week including the first Voice-less episode of The Blacklist, bubble comedy Mom and a return engagement for Almost Human. Season highs from Shark Tank and 20/20 represented Friday, but there were a whooping six more Friday shows in the next 16 spots below the list (including Undercover Boss at #27). The return of Hollywood Game Night (1.3 at 8:00/1.5 at 9:00) didn't go too badly; in fact, the 1.5 was higher than anything it did last summer. But it was still a significantly weaker option that last week's American Ninja Warrior special (1.9) and probably less compatible with The Blacklist (2.3), which was down a couple ticks in its second episode without The Voice. Fox wrapped up the Sleepy Hollow season with minimal growth for the two-hour finale (2.2/2.4). Though it kind of limped to the finish, this show still projects as a borderline top 10 of the last 10 newbie (if somewhat inflated by mostly airing in the fall). The other networks were also all-original as ABC's Castle (2.0) was up for the second straight week, while CBS had a noticeably down 9:00 hour with Mike and Molly (2.1) and Mom (1.9). After finals, Fox's NFC Championship Game ended up with 55.91 million viewers and a 19.0 demo rating, 13% ahead of what CBS did in the same window last year. Riding a thrilling end to the game, the post-game show was 24% ahead of last year's post-game, which surely helped the season premiere of The Following (4.4) at 10:19 Eastern/7:19 Pacific. It scored a series high and roughly 25% ahead of last season's Hawaii Five-0 (3.5) in the lead-out role. The strong returns of Undercover Boss and Dateline at 8/7c may have nicked ABC's comedies Last Man Standing (1.4) and The Neighbors (0.9) a bit. In the last two hours, the better lead-in helped Grimm (1.5) and Dracula (0.9) swing back up, while Shark Tank (2.1) and 20/20 (1.7) stayed even at last week's season highs. Fox's comedies Raising Hope (0.7) and Enlisted (0.6) each dropped a tick. Let's take a look at the fall 2013 season (the twenty-third overall) of The Amazing Race on CBS. Let's take a look at the fall 2013 season (the sixth overall) of Sons of Anarchy on FX. Let's take a look at the summer/fall 2013 season (the fifth overall) of Drop Dead Diva on Lifetime. Not really feeling like going through the full First Two Weeks motions for all these shows since most are so clear-cut, so I'm just gonna hit the bunch all at once with some quick thoughts. Let's take a look at the fall 2013 season (the seventeenth overall) of Dancing with the Stars on ABC. The Question, Sunday 1/19/14: Will NFC Championship Viewers Watch The Following Program? Last year, The Following was the show that started broadcast TV's "limited series" craze, signing up major film actor Kevin Bacon with the promise that the seasons would be short enough to give him scheduling flexibility. And it overcame mixed-to-negative reviews to become the 2012-13 regular season's biggest new series. Though its audience faded considerably through the season, it finished on a couple of upticks, and it should have a good opportunity to start off season two positively since it leads out of the NFL's huge NFC Championship Game. Will NFC Championship viewers watch The Following program? That's The Question for Sunday, January 19, 2014. Here are the results for the ratings prediction game The Question through January 15. Still tied at the top as we head into a somewhat lean period from now through the Olympics. This time, I've added a new column ("Last") which tells you how everyone is trending since the last update. Programming note: Sunday's The Following Question, along with the Super Bowl lead-outs game in two weeks, will open 24 hours early (Saturday 2:00 pm ET) and close 12 hours early (6:00 pm ET Sunday). This is to eliminate any potential advantage from knowing what happens in the game that leads in. So if you usually play in late night Eastern time, don't plan on waiting till Sunday! If Wednesday's premiere of American Idol (4.7) brought a little bit of hope back to the franchise, the Thursday premiere (3.9) was far less encouraging; it was nearly 20% off of the Wednesday number against less competition (including CBS' comedies in repeats), and down 30% year-to-year. For comparison, the 2013 edition had a 6.0 Wednesday premiere and only dropped to 5.6 on night two. Even with Idol a disappointment and CBS sitting out, most of the originals on ABC and NBC got massacred. NBC was down big in the 8:00 hour with Community (1.1) and Parks and Recreation (1.2), but the particularly unreal result came at 9:30 as The Michael J. Fox Show hit a 0.6! And ABC was way down with competing reality series The Taste (0.9), but Shark Tank (1.2) proved a massive improvement on cancelled The Assets. When The Assets was pulled, I wondered if ABC should consider moving The Taste to 9-11 to avoid Idol, and it's hard not to feel even stronger after this result. Scheduling history: After one season following The Vampire Diaries on Thursday, Nikita moved to Friday for the rest of its run. Most of those episodes aired in the lead-off role, though the first few episodes of season three and the shortened season four aired at 9:00. The thirteenth premiere of American Idol (4.7) was down 22% year-to-year in the demo (and continued to skew older, dropping only a little over 15% in overall viewership). But given the incredible severity of the show's bleed through last season (when it was in the 3.0 range by the end and had a 3.6 finale), this is not a bad start. In fact, no Idol premiere has increased this much (28%) vs. the prior season's finale. And if the judges were as well-received by the audience as they seemed to be by critics, it's certainly not hard to imagine the show holding up better through the season this time. Almost everything dropped week-to-week against Idol's return, but it was most severe on NBC, coming down from last week's inflated episodes against CBS pre-emptions. Chicago PD (1.5) was down 25% in week two, but that was predictable... and in fact a less severe drop than its lead-in Law and Order: SVU (1.4) took. And Revolution (1.3) hit a new low at 8/7c. On ABC, Suburgatory (1.6) had a modest start in its return to 8:30, barely outrating the last few episodes of Back in the Game/Super Fun Night, but that looks a little better relatively speaking since The Middle (1.8), Modern Family (3.2) and Nashville (1.3) all tied or hit new season lows. Let's take a look at the fall 2013 season (the twenty-seventh overall) of Survivor on CBS. The Question, Wednesday 1/15/14: Will This American Idol Season Sing a Different Tune? American Idol premiere night (and the following morning of ratings) was once the time of the year when Fox executives licked their chops, knowing the entire course of the TV season was about to swing massively in their favor. Nowadays, they're just holding their breaths, praying another huge swath doesn't desert the one-time Death Star. There's yet another shake-up on the judging panel, including the return of Jennifer Lopez, and yet another promotional campaign that reminds you this is the one franchise that creates legitimate music stars. Will this American Idol season sing a different tune? That's The Question for Wednesday, January 15, 2014. Almost everything was even to slightly down on an all-original Tuesday. The only week-to-week grower was The Goldbergs (1.8), which beat New Girl again and hit its best rating since early October. The only multiple-tenth movers: Dads (1.2), which plummeted after its somewhat decent number last week; Chicago Fire (1.8), down a couple notches from its impressive without-Voice premiere; and week two of Killer Women (0.7), which is just hoping that the quick hook on The Assets means ABC will want to avoid a double-cancellation for the immediate future. After finals, The Mindy Project (1.1) joined the club, hitting a new season/series low. Scheduling history: The whole Boardwalk Empire run has aired on Sunday at 9/8c in the fall. A couple special events topped the first relatively normal week of 2014: CBS' NFL playoff game on Saturday and NBC's Golden Globes on Sunday. The Big Bang Theory blew all other entertainment options out of the water, while NCIS was easily the top drama even on a Tuesday with a bizarrely high PUT estimate. A season high Shark Tank cracked the top ten, while a strong Hawaii Five-0 also made the cut to give Friday programming a second representative. And a whooping five new shows made the list, including the pilots of Chicago PD and Intelligence (at least one of which will not be making the cut going forward). Sunday Event Season has begun with The Golden Globe Awards, which ended up a tick ahead of last year's strong show. This continues the positive ratings momentum for the show under hosts Tina Fey and Amy Poehler. The other three networks all went original against the Globes, with CBS riding an NFL playoff lead-in to season highs across the board. All of the Fox/ABC shows were down somewhat from their airings against the Globes last year: Fox's The Simpsons (2.2, -8%), Bob's Burgers (1.9, -17%), Family Guy (2.6, -19%) and American Dad! (2.3, -4%) and ABC's Revenge (1.6, -20%). To Revenge's credit, it had a massively worse lead-in than last week/last year, as the second special The Bachelor barely managed half of last week's number. On cable, HBO got a respectable premiere out of new drama True Detective (1.0), then had a double-episode premiere for much-buzzed comedy Girls (0.6/0.5), which outrated all results from last season (when they didn't have an original lead-in). Showtime's premieres of Shameless (0.9) and House of Lies (0.4) were each down a couple ticks from last year. A second straight Saturday NFL playoff game went 8% behind the corresponding game last year (and was 11% weaker than the primetime game last week). NBC's figure skating was not competitive, but at least it did two tenths better than last year. Fox's late afternoon game led into primetime, inflating the numbers for repeats of Almost Human and Bones. For now, their True scores will have to remain inflated as I don't have a number for the NFL post-game show. If that comes out I will update in the Vault. The surest flop of the season... flopped. Enlisted began with a 0.7 demo, down a tick from the 9:00 episode of Raising Hope. Basically, it did what a second Hope probably would've done in that spot. All there really is to say here is that this result isn't going to change the trajectory that Fox's scheduling put it on. Friday's big winner was ABC, where Last Man Standing (1.5), The Neighbors (1.1), Shark Tank (2.1) and 20/20 (1.7) were all at or near season highs. CBS' Hawaii Five-0 (1.5) and Blue Bloods (1.5) also bounced back quite well from their last 2013 episodes, which were oddly scheduled into late December. With all the competition back, the Grimm (1.3) roller coaster swung back down and also took Dracula (0.7) to a new low, which got even lower after finals. Some of the blame may go to another weak NBC News special Going for Gold (0.8) at 8/7c. Apparently Tuesday's Intelligence rating was artificial. The show dropped by half to a disastrous 1.2 demo rating in its first airing in the new timeslot, not any better than what Hostages was doing for most of the fall. And just like that, it's done for. With incompatible comedies airing in the first two hours and two legitimate competitors, CBS may now have to move some kind of veteran show into this hour looking forward to next season. The biggest surprise to the positive was Fox's Almost Human, up by multiple tenths for the second straight week. If this show was on the brink of death coming into 2014, it shouldn't be anymore. And Sleepy Hollow was even in its first episode in over a month. On ABC, it was a case of "Where was this number when I picked it last week?" as The Bachelor took a large post-premiere drop against a lot more broadcast competition. A week after major year-to-year growth for the premiere, this point was down two tenths vs. 2013's second episode. However, Castle was up at 10/9c, perhaps demonstrating that last week's football game affected it a lot more than it affected The Bachelor. The CBS comedies How I Met Your Mother (3.0), 2 Broke Girls (2.7), Mike and Molly (2.4) and Mom (2.1) all came back at relatively normal levels, bouncing back from weak showings to end 2013. Let's take a look at the summer 2013 season (the second half of the fifth and final overall) of Breaking Bad on AMC. The Question, Monday 1/13/14: Is The Blacklist a B-Lister Without The Voice? Just like in fall 2012, the biggest new series of fall 2013 was the series NBC put after The Voice on Monday - this time James Spader drama The Blacklist. But just lumping it in with last year's Revolution is likely doing it a disservice. While The Voice faded in the second half of the season, The Blacklist held tight, eventually beginning to build on the numbers Revolution was getting after a much stronger Voice. So confident is NBC ithat it gets a run of season one episodes without a Voice lead-in, something Revolution never had last year. It begins tonight in a timeslot which also sees the first regular episode of CBS' Intelligence. Is The Blacklist a B-lister without The Voice? That's The Question for Monday, January 13, 2014. Let's take a look at the fall 2013 season (the fifth overall) of The Voice on NBC. The Question, Friday 1/10/14: Could Enlisted Possibly Sign Up for a Worse Timeslot? From a timeslot standpoint, Fox's military comedy Enlisted has it about as bad as anything in recent memory. Not only is it on low-viewed Friday, but all three broadcast competitors are fairly respectable (Hawaii Five-0, Grimm and Shark Tank). And it has a lead-in in Raising Hope (0.8 in each episode after original Bones) that's likely even worse than 7:30 local programming would be. The reviews are actually pretty good, but it's hard not to call this a burn-off situation; it seems like they'd at least give it the direct post-Bones slot if they had even a smidgen of hope for it. Just stopping Raising Hope's bleed at 9:30 would feel like a "win" here, but it seems more likely to behave like a typical 9:30 Hope on series premiere night... and maybe even worse going forward? The weeks before American Idol returns are always a nice time to run up some numbers, and this Thursday was particularly ripe since the main piece of competition from last week went away (ESPN's 5.2 Sugar Bowl). The shows responded, as nearly everything on CBS and NBC went up week-to-week. The Big Bang Theory, The Millers, The Crazy Ones, Two and a Half Men and Elementary all swung up by multiple ticks. All these shows hit their best numbers since the opening few weeks of the season, and The Millers held in finals to actually tie its premiere rating. Against basically no competition, this night is more of a beauty contest than a real game-changer, but it's certainly better to grow than not to grow. Perhaps the night's biggest surprise was infamous post-premiere dropper Community actually growing in week two, and it helped the return of Parks and Recreation to a new season high (which got even higher after finals). The only week-to-week dropper was the second episode of ABC's The Assets. 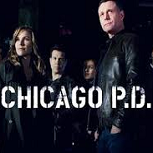 NBC's Chicago PD (2.0) got off to a nice start, almost fully retaining the demo from a surging Law and Order: SVU (2.1) and narrowly outrating its sister series' pilot from 15 months ago. It really needed to premiere at this level or very close to it just to have much of a shot at success, as the deck was heavily stacked in its favor with both competing broadcast dramas sitting out (most importantly CBS' crime dramas). If it had started in the 1.6-1.7 range in this spot, it would've been a longshot even though the raw number would've seemed OK on the surface. Now, it's given itself a chance to settle somewhere acceptable, and we'll see how big the scheduling was when CSI returns next week. At 8/7c, Revolution adjusted down to a still-OK 1.5, up a tick from its most frequent fall number. As for CBS, it had repeats leading into The People's Choice Awards (2.4), down 11% in the demo year-to-year (but up in total viewers).